Except that most of what the 49%, and I’m prepared to believe its more than that numerically, want, is to attack the rights of others. Children’s freedom from violence; freedom to enjoy one’s sexuality; Maori freedom to recover their stolen property; freedom to choose what we put in our bodies; freedom not to be forced into poverty-wage work. Those are the things the conservative agenda wants to restrict. It’s not about their rights – it’s the rights they want to deny others. I don’t entirely agree, but let’s assume you’re right. It’s a tradeoff: if we liberals raze the political and social traditions whenever the opportunity presents itself, we can expect no less when we’re out of power, which is well over 50% of the time. I sat the test twice, Lew, with a different perspective each time. The first time, like you, taking the questions at face value and only managed a 5/19. Sad ay? The second time, I chose to seek out the hidden (or even not so hidden) agenda that we know is always lurking in the background of these types of things. This time, I scored a much healthier 1/19 (a yes to Q5 on long term thinking pretty much covers climate change mitigation activities, like the ETS). The thing is, to me, some of the stuff is pretty radical when you look a the consensus view of the relative experts – so is one a conservative or a radical if one goes against the experts? Hah, a fair point, Luc. I think the CW is that it’s ‘conservative’ to ignore the experts in order to maintain the status-quo, whereas it’s radical to actually implement any social or policy change, whether or not you ignore the experts. I think ignoring experts actually is conservative. Scepticism of policy based on intellectual activity in preference to folk tradition goes alllll the way back to Burke. well national have taken the christian vote for granted that is for sure . they never repeald the anti smacking law nor other christian laws . they winged an moaned about bradfords hidious law then got in and did nothing they never mentiond it again . i wont be voting national i can tell you they are lairs its just a slick pr propoganda machine brain washing the masses to love key . forget about the huge mess they have made we just love key . its rubbish its plain brainwashing . Thank science for that. The sooner that National drop their truly conservative religious roots and recognise the individual rights and freedoms of all people, the better. Luckily under MMP, the Christian conservatives have the opportunity to form their own political party with their own ideology. You can tell Key is probably doing right when Christians think he’s too liberal, and the opposition think he’s too conservative. They nearly made it in 1996 as part of the Christian Coalition, but since then they’ve fragmented as a party political force, so they infiltrate high places instead. Rankin, Pilbrow, the Destiny handout – you name it. Oh, and I scored about 2/19 at most in the survey. And proud of it. I can’t think off-hand of too many cases where the ‘Conservative Right’ has joined hands with the left and helped New Zealand ‘move forward’ as some sort of jolly old ‘community’. In New Zealand and elsewhere in the West, large-scale political mobilisations around conservative stances on moral issues have generally led to hysteria, violence, and greatly increased polarisation. The fight over homosexual law reform in the ’80s and the crusades against mixed race marriage in the 1920s and ’30s are cases in point. It is reasonable enough to argue that the left has to win a big majority of society over to its ideas, rather than try to run a steamroller over opposition. Most of the business community will always oppose even relatively mild social democratic policies, let alone full-blown socialism, but there’s no reason why working farmers, at least some small businesses, and working class people who identify primarily in terms of their religion shouldn’t be addressed sympathetically by the left. The trouble is that the Christian right, as represented in the past by groups like the New Zealand Legion and the Christian Heritage Party, or today by the Conservative Party and Family First, is not representative of most Christian Kiwis, and is not actually politically conservative at all. The vast majority of New Zealand’s conservative Christians have no time for political parties that prioritise moral issues above all other issues. South and West Auckland are home to the largest concentrations of conservative churches in the country, and yet they regularly return candidates from the Labour Party. Both the Destiny Party and Philip Taito Field have found that civil unions and anti-smacking legislation are not enough to dissuade South Auckland voters from backing Labour in massive numbers. Bread and butter issues like wages and social welfare are far more important. The social base of the Christian right is a section of the Pakeha middle class. A good friend of mine became a priest a few years ago, and as part of the final stages of his training he was despatched to parishes all over the country. He was struck by how the poorer, browner parishes were all solidly in favour of the Clark government, and of statist, centre-left politics in general, and how the whiter, wealthier parishes harboured many anti-gay, pro-smacking, anti-welfare obsessives. Like Green politics, Christian identity politics tends to be a luxury of the middle classes. Historically, the Christian right has been particularly successful in attracting layers of the middle class who feel menaced by the threat of economic ruin. In the 1930s, the New Zealand Legion won the support of provincial small businessmen and small farmers who feared that the Great Depression was about to drag them back down into the proletariat. Sixty years later, Christian Heritage appealed to an elderly, provincial middle class constituency terrified of social disorder created by the neo-liberal restrucuring of the economy. Although the Christian right poses as a conservative force it actually advocates the radical transformation of society. The Christian right wants to destroy longstanding features of New Zealand society like the separation between church and state, the social welfare system, and the provision of certain special institutions for Maori. It is instructive to compare New Zealand First with organisations like Christian Heritage and the new Conservative Party. New Zealand First is a genuinely conservative party that wants to turn back the clock to the pre-1984 era by reanimating Muldoonist economic policies. By contrast, Christian Heritage advocated the elimination of virtually all state involvement in the economy and the complete abolition of the welfare state. 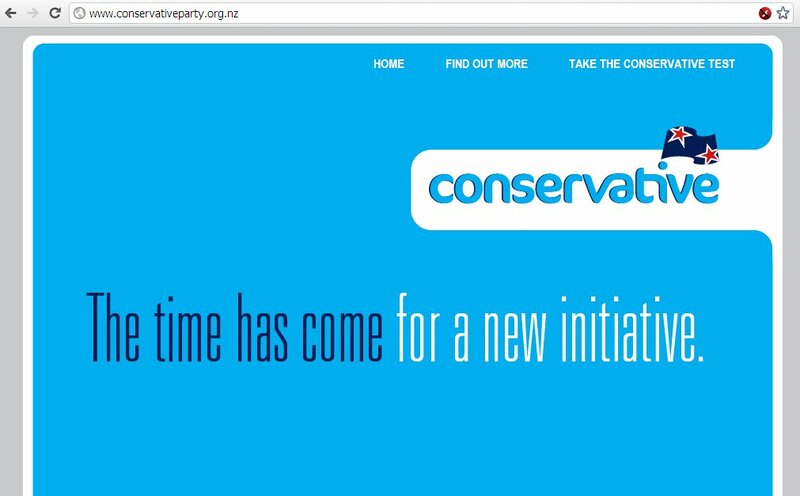 The new Conservative Party appears to share those aims, and also talks of wanting to abolish the Maori seats and the Ministry of Maori Affairs. What the Christian right seeks to do is substitute religion for politics, and action by religious institutions for action by the state. They see the mass conversion of the population, and the placement of moral issues at the forefront of the consciousnesses of Kiwis, as the precondition for economic and social change. They argue that Christian charity can take the place of statist social welfare, they claim that businesses run according to Christian principles need no state regulation, and they insist that the unity of purpose provided by common religious belief can provide the sort of social guidance that the state once provided. We’re talking about a radical, idealistic force which has little to do with conventional conservatism, and a great deal to do with fascism. @Scott: it reminds me of Robert Reich’s “The Truth About The Economy” video, where he describes America’s middle classes are so insecure that they’re too busy fighting itself instead of the ‘hyper classes’. Such insecurity unfortunately stokes hate-driven Tea Party dogma. Hitler’s rise to power in 1933 owed a lot to economic depression – aggravated by the unintended consequences of the Treaty of Versailles – and unfettered hate propaganda. For all their blowhardery, at least groups like the Destiny Church play their card hands open. Fundies are far scarier when they operate under the radar and infiltrate major institutions, because that allows them to downplay their real agendas. OK, so I think that in general I am a classical liberal. I believe in a monitored version of the free market. I like the idea of freedom of speech and religion although I am a Christian myself. I have to say that I like a good many of the politicians in the current Labour party as they mostly hold centrist views as do I. I wouldn’t vote for a socialist party, however. I look upon the national party and act with some contempt as a bunch of pompous asses, even though it could argued that they aren’t doing a bad job in power at the moment. The only ray of light there is John Key as I would happily vote for him as a presidential candidate regardless of party. So it seems to me that there is room for a center right party that can establish a rapport with the center right constituency and that embraces more traditional values or even change at a slower pace. I’d sure vote for them if they could set up a credible party with sensible policies. 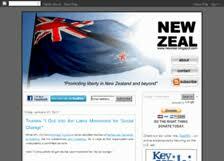 If Colin Craig’s new party is conservative, then why does it have Green and New Zealand First party policy? New Zealand First and the Greens have been saying no asset sales for years. Especially New Zealand First, which was formed on the basis of disgruntlment with National and Labour in 1993 over issues such as the sale of state assets. Dear Graeme Tyree, I would prefer this forum was not used for explicit electioneering so I have removed your comment. And if you wish to do so elsewhere I recommend you attach a promoter statement to your messages. the type of violence that occurs within the five-to- eight-child-family demographic that leftist seek to provide with more subsidies. “freedom to enjoy one’s sexuality” no one’s stopping you. “Maori freedom to recover their stolen property” and neglect using it in any industrially productive way? “freedom to choose what we put in our bodies” What’s that supposed to mean? “freedom not to be forced into poverty-wage work” your very lucky to be able to say that. Thanks to outsourcing and free trade capitalism that boomed in the seventies and eighties, all the poverty wage workers are in China and Taiwan funding our businesses for us. Not because it’s right but because it’s what the businesses can afford when unions demand higher and higher wages.